‘Tis the season once again for giving and for getting. But how do you know what holiday gifts to get for friends and loved ones? Taking a look at what’s out there would certainly help, that’s why ComingSoon.net is here to help you find that perfect gift for the special someone in your life… even if that someone is you! Check out our 2018 Holiday Gift Guide in the gallery below! This year we have compiled over 80 items for you to peruse, along with a buy link for each and every piece we showcased. We were also lucky enough this season to be able to get every product ourselves to test it out and photograph just for this guide! Our gallery is divided by different subsets of gifts: Collectibles, Toys, Movies, Books, Games and Apparel. The prices range from around $10 to over $1000, so we welcome thrifty folk and big spenders alike! 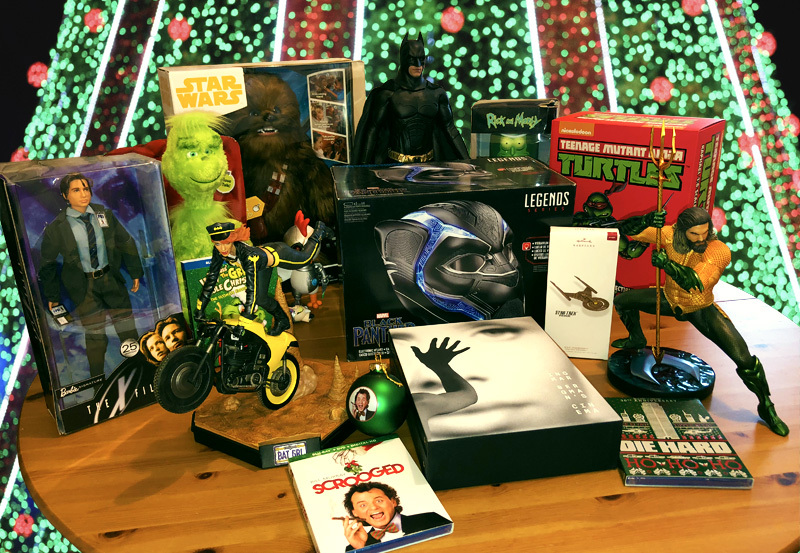 You’ll find all your favorite brands like Sideshow, DC Collectibles, Hasbro, Mondo, Shout Factory and more! Which items from our 2018 Holiday Guide did you add to your wish list? Do you have any other ideas for gifts that you think our readers would like to know about, perhaps? Let us know in the comments below!